German software giant SAP has launched its first data center in the United Arab Emirates (UAE), from which it plans to provide cloud-based services to local companies. Forbes reports that the facility is part of a $200m investment in the country, which will be accompanied by further investment in its channel partner programs and follows on the establishment of new headquarters in Dubai. Also this year, SAP opened another one of its Co-Innovation Labs (COIL) in the Middle Eastern capital, an R&D center for collaborative projects with partners and customers. The UAE is becoming increasingly attractive to foreign companies as attempts to diversify its economy. Made up of seven monarchies, each with its own ruler, the country is centrally governed by a chief of state and vice president, both of whom are elected by the emirate rulers. Mmuch like its neighbors in the Persian Gulf, the country’s wealth creation largely relies on its abundance of oil, but the capital of the Emirate of Dubai has limited reserves and prospers on the back of tourism, real estate and financial services. 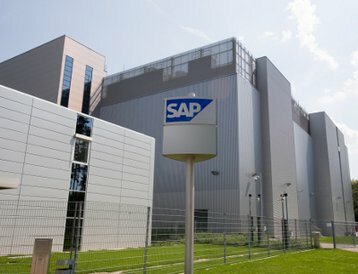 SAP isn’t the first international company to eye the country as a data center location: Alibaba’s cloud division, Aliyun, opened its first cloud facility in Dubai – operated by local provider, Yvolv - in November 2016, and earlier this year announced plans to build another, in an extension of its collaboration with the Khalifa University of Science and Technology. Microsoft is also planning to launch two cloud regions in the country as part of a twelve-region worldwide expansion, and will locate its sites in Dubai and Abu Dhabi.